The Saudi Arabian artist Abdulnasser Gharem will open his first US solo show at the Los Angeles County Museum of Art (Lacma) next month. The artist, who was until recently also a lieutenant colonel in the Saudi Arabian army, is known for his politically and socially engaged works that draw on his Muslim heritage. Abdulnasser Gharem: Pause (16 April-2 July) includes 11 works of sculpture, prints and film, all of which were created after a significant moment for the artist, when he says “the world stood still”—the 2001 attacks on the World Trade Center towers in New York, where two of the hijackers were former classmates. The show features two new works. The enormous wall-sized “stamp painting” Camouflage (2017), which Gharem builds using thousands of small rubber stamps, depicts an army tank taking aim at the viewer against the background of a colourful Iranian mosque. The work, to be installed in the lobby of the museum’s main building, hints at how theocracies can hide their own religious intolerance behind the guise of piety. 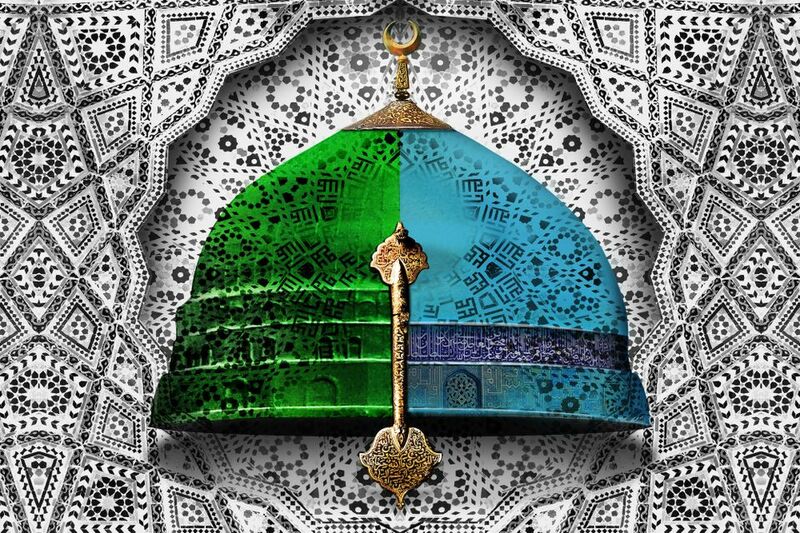 A new dome sculpture Hemisphere (2017) is half modelled on the distinctive green dome of the Mosque of the Prophet in Medina, and half on a late Islamic-style warrior’s helmet, bringing together a symbol of peace and war in one form. One of Gharem’s earlier dome sculptures, Message/Messenger (2010), sold at Christie’s in 2011 for $842,500, making it the most expensive work at auction by a living Arab artist at that time. The show is also due to include the work Road to Makkah (2014), a stamp painting that replicates a motorway sign in Mecca directing people to their destination based on their religion: non-Muslims, who are forbidden from entering the holy city, are sent to the right while Muslims are sent straight ahead. Lacma has the largest collection of contemporary Middle Eastern art of any museum in the US, and Saudi Arabia is the second most represented nation, after Iran. As well as two works by Gharem—the video The Path (Siraat) (2007) and the recently acquired monumental carved wooden stamp Moujaz (2013)—the collection also includes works by the Saudi artists Nasser Al Salem, Manal Al Dowayan, Lulwah Al Homoud and Ahmed Mater. Abdulnasser Gharem: Pause is organised by Lacma in association with the King Abdulaziz Center for World Culture, Dhahran, in collaboration with Gharem Studio. Saudi Aramco's Snøhetta-designed cultural complex is nearing completion.